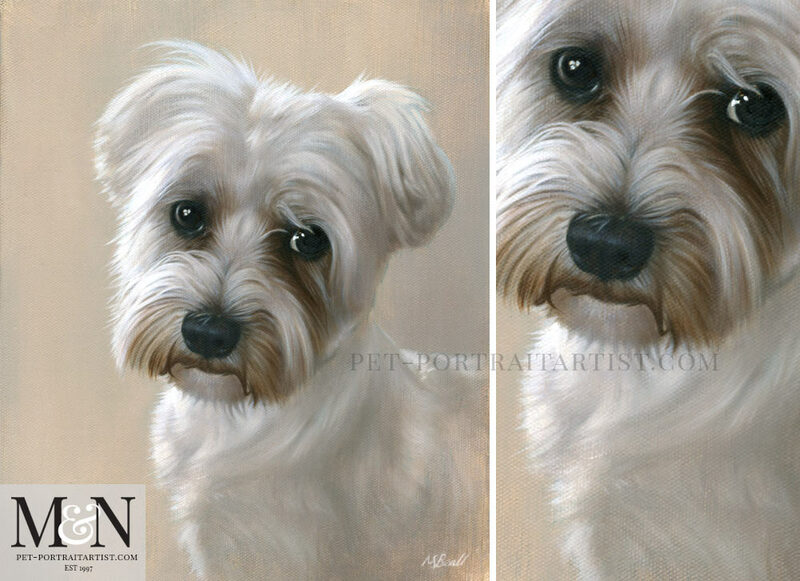 Welcome to our latest dog portrait of Leon painted by Nicholas Beall. He has to be one of our favourite dogs that we have portrayed this year. Just look into his eyes soulful eyes! Are they gorgeous! Richard and his wife Chantal from Crete emailed to ask if Nicholas would paint Leon for them. Richard describes Leon … “He is extremely clever, loving, playful and (I am trying to be unbiased)” and we could tell from the photos he is an exceptional dog. Leon was very patient earlier in the year when his owners Richard and Chantal took lots of photos of him for the portrait. He coped extremely well considering how hot the days were in Crete when he was having to pose in front of the camera! Nicholas painted the portrait at 12 x 10 inches on Italian linen canvas and Richard and Chantal were delighted. Leon was delighted too….scroll down for more! 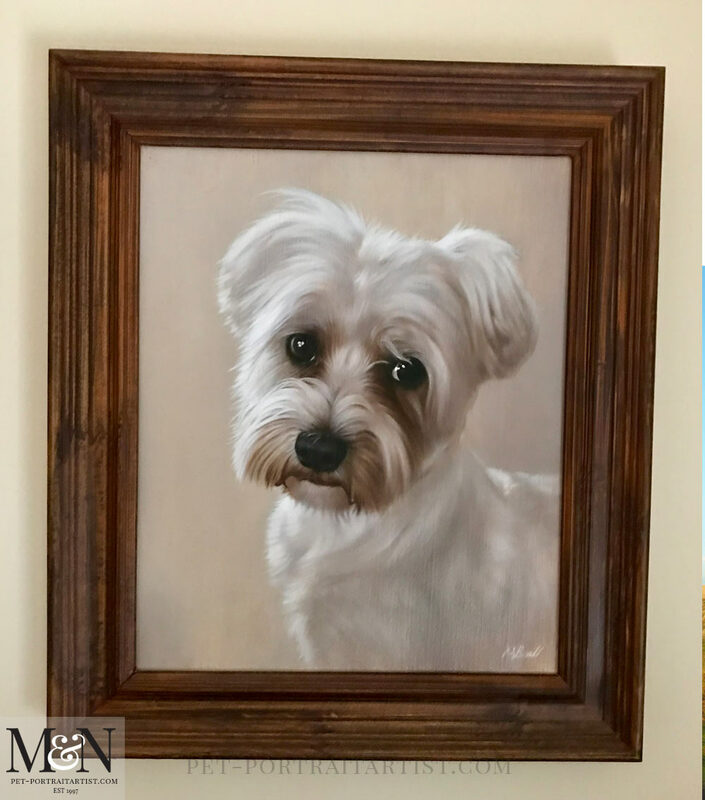 Dog Portrait of Leon – Happy client! 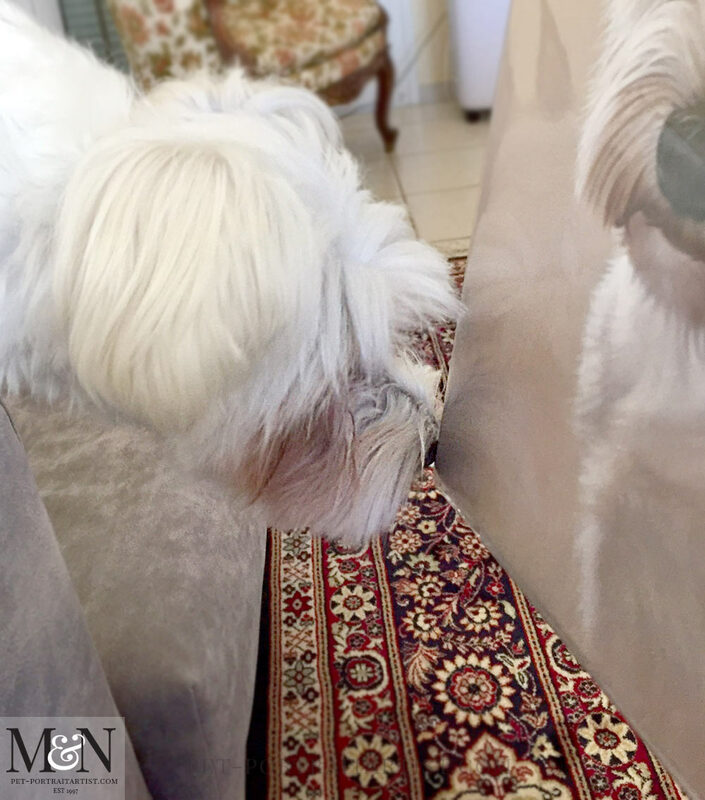 Leon….who is a very happy dog, we believe loves his portrait and has given it the thumbs up! So I think Leon was very happy with his self portrait. We cant thank Richard and his family enough for taking them for us. The frame works fabulously with the painting and really allows Leon to stand out from the canvas. I have already added Leons photo to our dog portraits testimonials page on our website and will be adding the framed one soon too! We hope you have enjoyed viewing the photos and of course a very happy Leon!